Well, well, to kick off this Birthday/Celebration Giveaway Week, what better way than to celebrate a birthday than by jumping up and down? (Unless you are pregnant and can't stand the thought of moving about so much!) And eating good food? Cheesy, perhaps, but here's what I've got for you today! That is correct - there will be a grand prize winner for the trampoline AND cookbook! But there's more! There will be two runner's up in this contest and two of you will also receive a copy of the Master Your Metabolism Cookbook. To win? You know the drill. Leave a comment below. This contest is open to U.S. Residents only and will be open through Thursday, September 9th. Spread the word about this Birthday Week Giveaway by mentioning it on your own blog and you'll win a second comment. A jump-o-line? Awesome! I'd love to be included. You know my history with Jillian and that trampoline would help my little people burn energy during the winter! I would love a copy of that cookbook! Very cool! I think a grown up trampoline would be enjoyed by all...and I know from your review I'd like the cookbook, too. Ooh fun, thanks for the giveaway! I love the trampoline, and find the cookbook...intriguing. How fun! 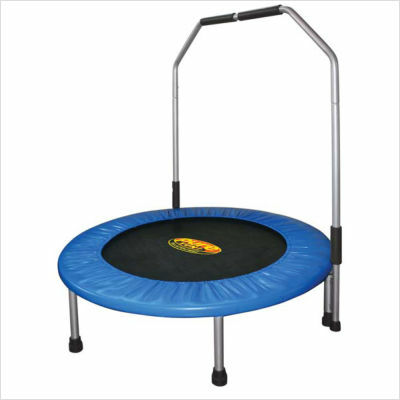 Would love win the trampoline for exercise on a rainy day! I want to enter! I love cookbooks and we'd all enjoy that trampoline. I would love to be entered! My little boy would love this!! I'm about a week behind you, so i wouldn't be jumping on it for a little while. :) But after.....I really need these!!!!! I forgot to include my e-mail. Happy Birthday -- this sounds like a fun and healthy prize :) *Thanks* for the giveaway! I'm not commenting to enter -- I already have a rebounder :) I'm just jumping in (no pun intended...) to say that everyone should have one. Excellent detoxing exercise. 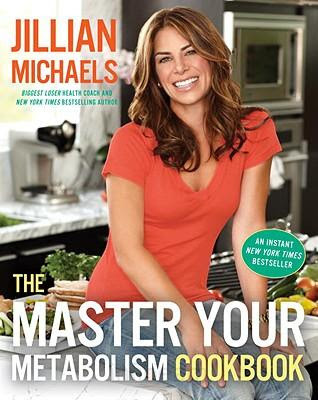 I would love to have my own copy of Jillian's book! I've used that Chicken Salad recipe a bunch of times this summer...it's always a hit!! I would love to win this. Used to have one and it's great exercise! I'm interested in the book too. I got one of the original mini trampolines back in the late 70s. It needs replacing. now's the time. Thanks for a fabulous giveaway. I only hope I can master my metabolism. I have a daughter who would love to burn up energy on the trampoline! Sounds like a great giveaway! What a fun week. What a great giveaway! That trampoline would be so great for our rainy fall/winter/spring/summer months in the NW! Fun-I am not sure what is better the trampoline or cookbook. My kids would LOVE the trampoline. Great givewaway. I'm trying to get fit and my kids would love the trampoline. This is such an awesome giveaway. Something not only that I want but I NEED. Thank you for the chance to win. I just lost 15 pounds and need to lose more. I hope to win! Fun!!! Looks like a terrific prize -- loving CSN! Awesome giveaway! Please include me. Would seriously love to conquer my metabolism!